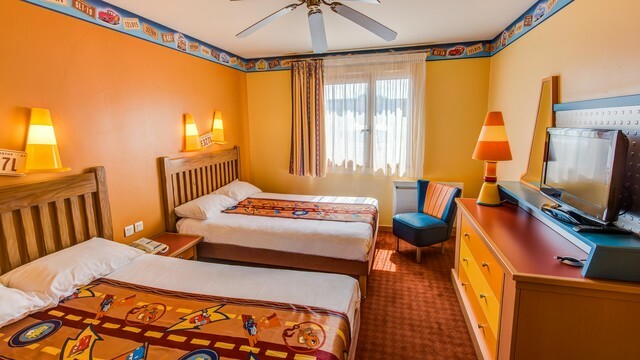 DISNEYLAND PARIS: Disney's Hotel Santa Fe offers you a taste of the monumental landscapes of America's South West, along the legendary Route 66. Disney attractions are a 5 minute shuttle ride away. Each room has a unique taste and modern design, equipped with en-suite bathroom. 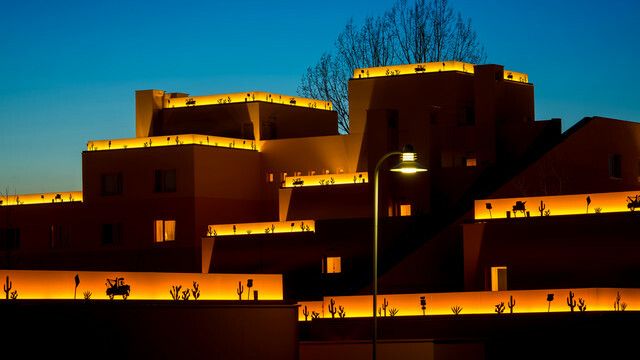 Discover this oasis of comfort on Route 66, where a Santa Fe-themed Hotel delivers classic Disney value and hospitality. It's just a 20 minute walk away, or a few minutes by free shuttle, from the Parks. Siesta in a land where adobe pueblos dot the desert flats. On America's legendary Route 66, you'll travel to the heart of the desert. What a landscape! Rusted and weathered, half-buried Chevys. And a flying saucer, crash-landed from the New Mexico sky! In the heart of Disneyland® Resort Paris- just past the cacti and scorched desert trail, there’s a place in the sun, inspired by America’s Southwest. 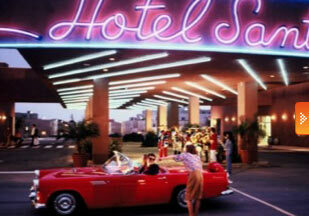 Welcome amigos, to Disney’s Hotel Santa Fe®.